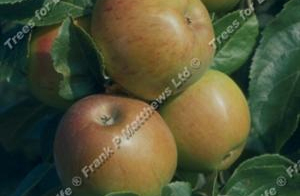 A varied selection of our apple trees. 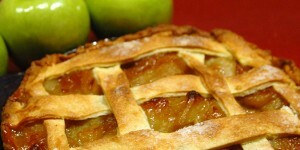 The finest cooker in the world! 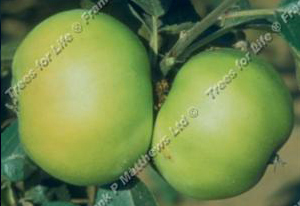 Green to greenish-yellow with strong acid flavour. 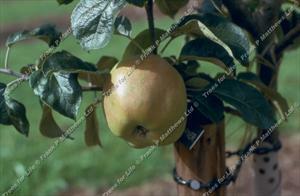 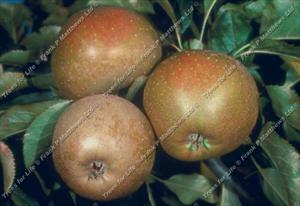 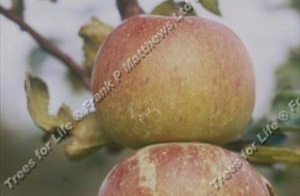 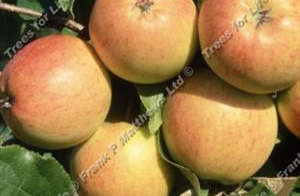 Peasgood’s Nonsuch x Cox’s Orange Pippin. 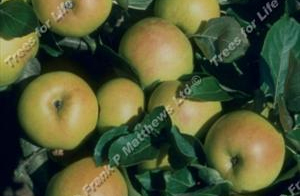 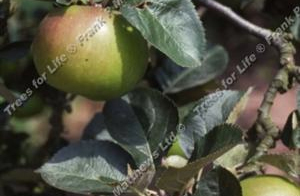 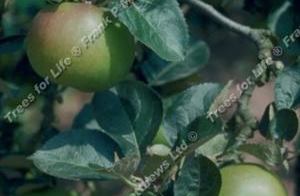 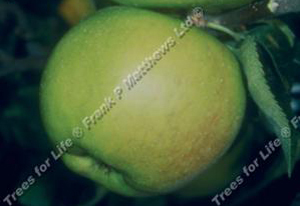 An easy to grow apple with orange-red flesh. 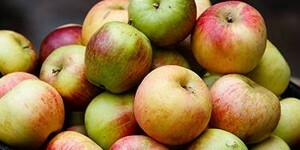 Sweet flavoured eater which also bakes well. 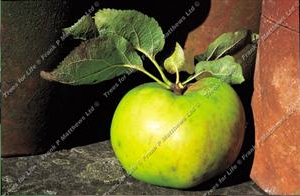 Valued garden apple. 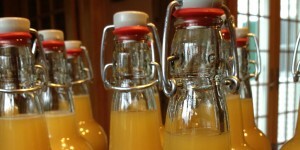 Good for northern areas.